Sentenced To Death Destined For Life | COLLECTOR'S EDITION Set [SDDLSEBook10001] - $100.00 : Beneficial Zone, Everything is permissible, not everything is beneficial! PRE-PURCHASE the new, upcoming, 500 SPECIAL COLLECTOR’S EDITION (SCE), AUTOGRAPHED & NUMBERED, COLOR HARDBACK BOOKS. Joseph James is writing this new edition in story form with more color images to be released before the movie premieres! ONLY 500 SCE BOOKS will be printed! *THE BIOGRAPHY WILL BE SHIPPED upon payment completion, plus a CARD guaranteeing your SEC BOOK when it’s available! This 500 Book SPECIAL OFFER will help take this story from a screenplay into a new movie AND spread the word about her story in preparation and anticipation for the upcoming movie. From the future sales of just her current biography alone, we could produce the movie, but we wanted to offer something really special to those who help invest more into this project & spread the word! Other INVESTMENT OPPORTUNITIES IN THE MOVIE Are Still Available! Purchase EXTRA COPIES of Janiece’s Biography for $19.95. (Also Available also on Amazon, Kindle & Nook), Watch 7 Hours of Video Testimony by Janiece, listen to our Radio Shows and More Info at the websites below. Read the story, pass it on, and help Save-A-Life! Keep up with the latest news on the projects we are doing and where we are on tour at the websites below and connect to our social media from there. Joseph James wrote Janiece's original biography and published it in 2011. It has helped encourage many through all the miracles that Janiece experienced on her journey from a Doctor's prognosis of certain death in 1991, to the Lord's miraculous healing power and new life. 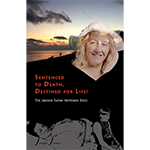 The biography was written from eye witness accounts and medical documentation, as well as Janiece's personal memory in a chronological fashion. This new book is being written in story form and is a precursor to the upcoming movie. It will include new material as well as color images. It is one of the most incredible journeys from death to new life in our generation. The sheer magnitude of the miracles Janiece experienced will amaze and encourage everyone who reads, sees, and hears the story. Her story showcases the awesome healing power of God. It will continue to change many lives in our generation and in generations to come. It is one of those stories that has the ability to touch nations and to declare that nothing is impossible for God. 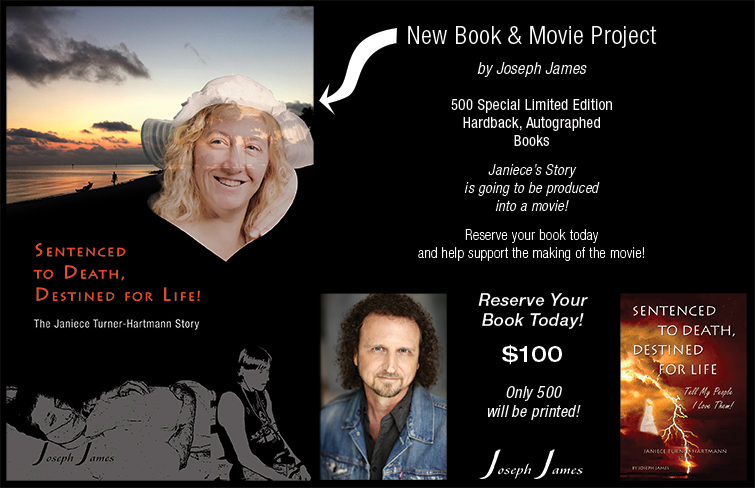 We are raising money to help cover the expenses of printing the new books, and to provide Joseph the time he needs to finish writing the screenplay and begin the movie project. This new book will also help generate interest in viewing the movie when it gets completed. Help us spread the word. Currently, we travel and tour across North America with our Follow Your Dreams Tour with Joseph's music, Janiece's story, Daniel's dance, and other entertainers to encourage folks to go for their dreams, and to not give up and give in to suicide. We have used our own money to tour over the last 5 years, USA, Canada and Alaska, and now we need to go to the next level and travel with a cast for theatrical productions as well. We appreciate your help and support in helping us reach out to those who need it. We can all be a part of helping someone live through the temporary storms they are facing so they can attain their God-given dreams. Help us Cancel Suicide and Depression! *** Please note: The target publishing date is June 1, 2019, shipping as soon as possible thereafter. The book cover design may change before printing. Books will ship as soon as they have been autographed, numbered and Authenticity Certificate issued. Follow Your Dreams Tour | Patreon Project | Pledge a monthly amount and view exclusive video updates of the tour as well as receive special rewards based on your pledge tier.